MHP’s BCAA-XL™ delivers a 10:1:1 ratio of 5g of branched chain amino acids (BCAAs) with over 4g of anabolic supporting leucine—19% higher than the leading brand. 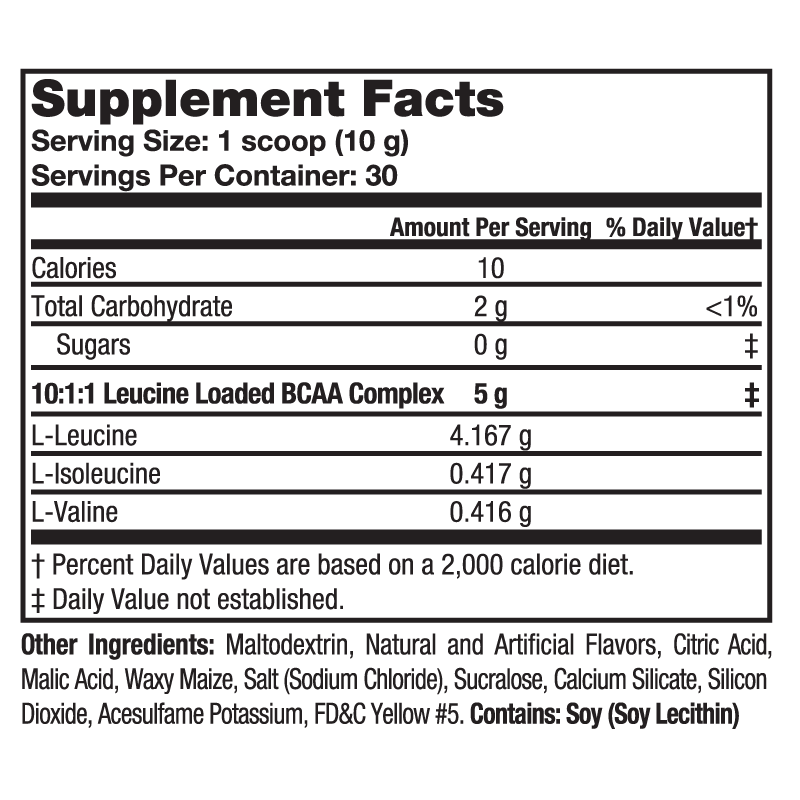 * BCAAs, and in particular, leucine, are crucial for stimulating muscle protein synthesis to promote muscle growth, strength and recovery so you can service the rigors of your intense training. * Grab a shaker and enjoy this sugar-free, delicious and refreshing anabolic cocktail before, during or after your workouts.